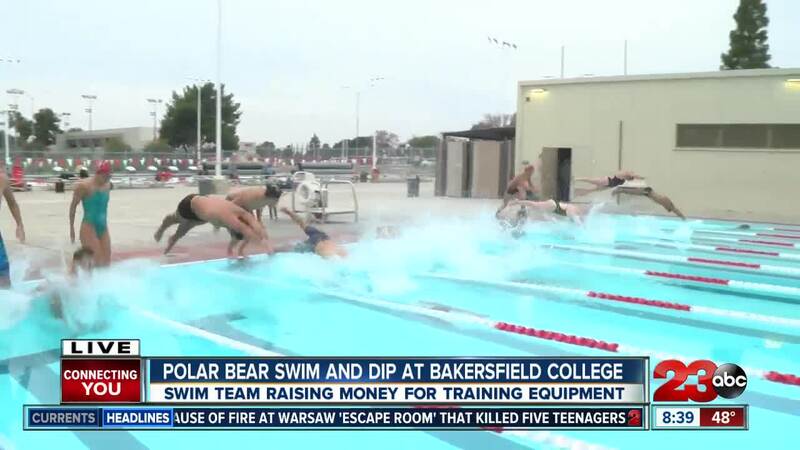 Bakersfield College swim team hosts a polar plunge to raise money for new swim equipment and uniforms. BAKERSFIELD, Calif. — It's was a shockingly cold way to start their morning and new year. The Bakersfield College Renegade Swim Team hosted a polar plunge fundraiser Saturday morning. Those who made the leap paid ten dollars which will help the Renegade Swim Team. Swim coach Matt Moon said they team needs help paying for new equipment like boards and fins as wells as new uniforms and swimsuits.